Episode 35 is available in our episode archive. On episode 35 of the Paid Search Podcast, Chris and Jason are back with volume two of The Great Debate series. Today’s debate is whether you should send your AdWords traffic to dedicated landing pages or to the actual website of the business that’s advertising. 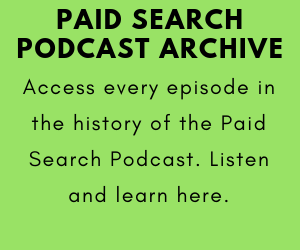 You can send us your questions at our website, PaidSearchPodcast.com and follow us on Twitter and Facebook. And you can leave a voicemail question or comment for the show at (214) 810-1355. And don’t forget about the After Show on YouTube. And please share the show with friends and colleagues, we really appreciate that! We’re so glad that you’re listening to and enjoying the Paid Search Podcast. 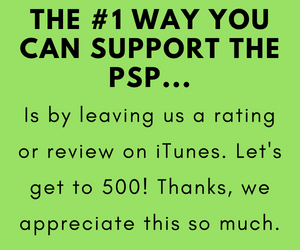 We do our best to give valuable, honest, and hopefully entertaining AdWords advice, and we’re glad you like the show. PSP 029: Should You Advertise On Your Brand Keywords In AdWords? PSP 067: Are Search Terms The Most Important Part Of A Google AdWords Campaign? 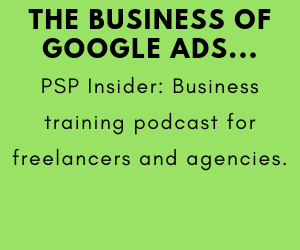 PSP 062: Your AdWords Questions, Our Answers!